BELLEFONTAINE — A magical season ended roughly Saturday night at AcuSport Stadium as St. Marys Memorial defeated Clear Fork 38-7 in the Division IV regional final. 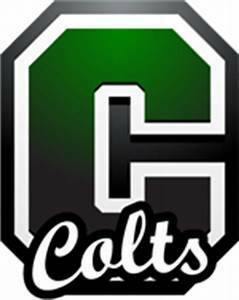 The Colts (12-1) ended a season that produced an MOAC championship, the most wins in school history and a trip to the Elite 8. “They all do a tremendous job. Dave and I have been close friends for years. What a great program,” Roughriders head coach Doug Frye said. Carroll warned that the Wing-T formation could be potent. That scheme produced good results for St. Marys (11-2), who will play Cincinnati Wyoming (13-0) in a state semi-final game Saturday at Piqua. Three backs combined to rush for 342 yards, led by Ryan Perry with 142 on 17 carries. Ty Howell, who scored the games first touchdown on a 72-yard sweep, added 97 yards on 10 rushes. Fullback Ty Schlosser added 103 on 10 carries. Each had a rushing touchdown. 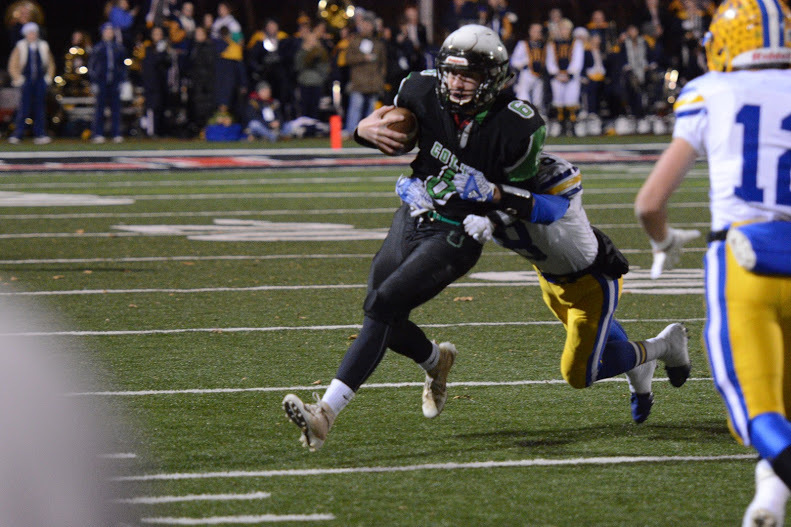 Turnovers again hurt Clear Fork, with 10 of St. Marys’ points coming as a result. The Colts tied the game at 7-7 after a Trevon Trammell 7-yard touchdown run. A 29-yard field goal made it 10-7 Roughriders at intermission. The Roughriders piled up 403 rushing yards to Clear Fork’s 101. They had 14 first downs to Clear Fork’s 9 and controlled the ball for much of the second half. Trammell rushed for 58 yards and caught 4 passes for 44. Carroll reflected on his team’s accomplishments. Seniors who played their final game will be missed. “They are a great group of kids. Jared Schaefer had to step in at quarterback as a sophomore in the OCC. He was getting pounded by bigger teams, but he held his own and hung in there,” Carroll said. Schaefer completed 13-of-18 passes for 97 yards and ran for 37. Tollison was named co-defensive player of the year for the Northwest District. Swainhart had 10 tackles and Michael Chillemi added 9.